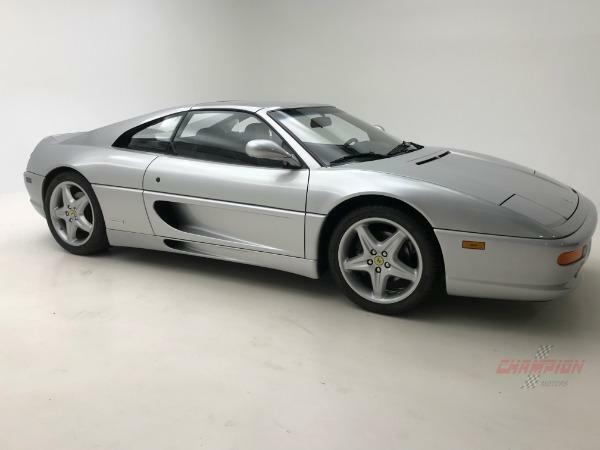 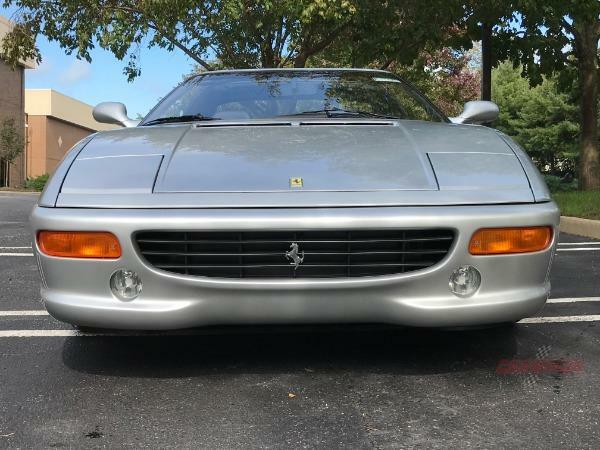 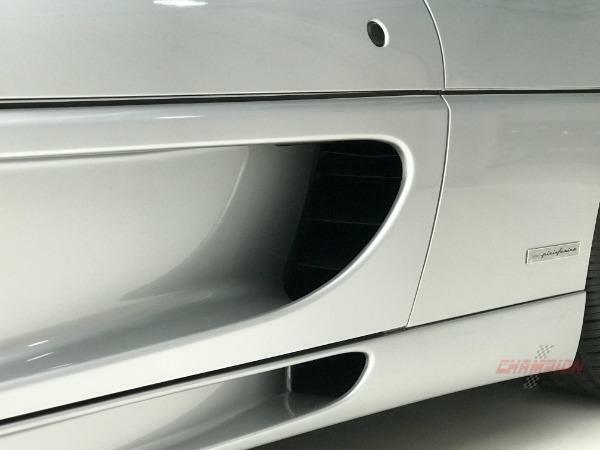 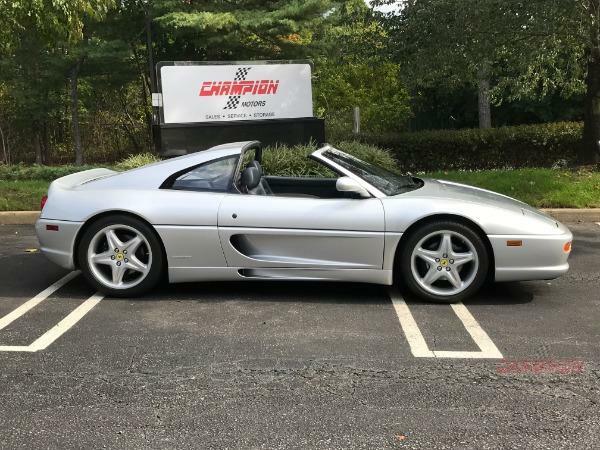 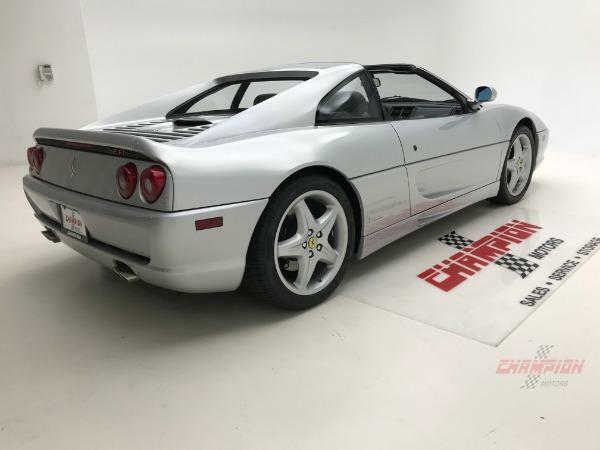 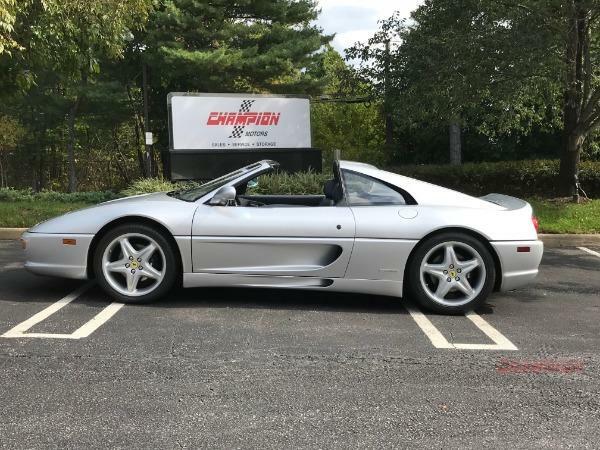 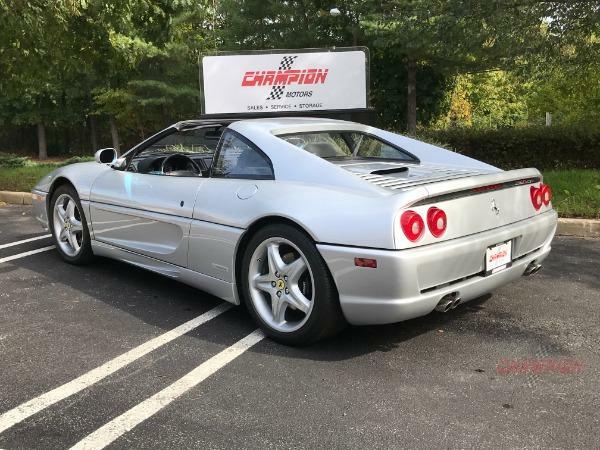 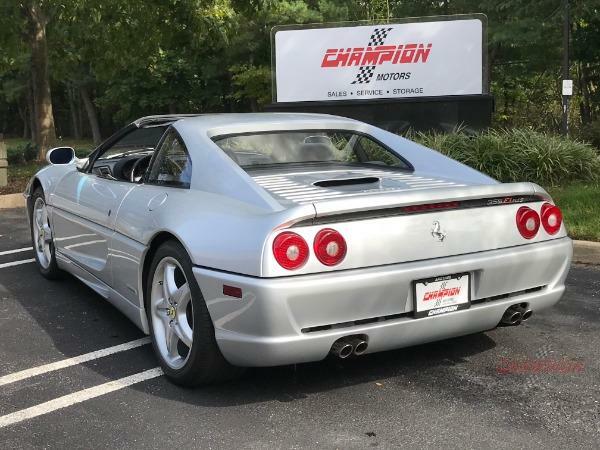 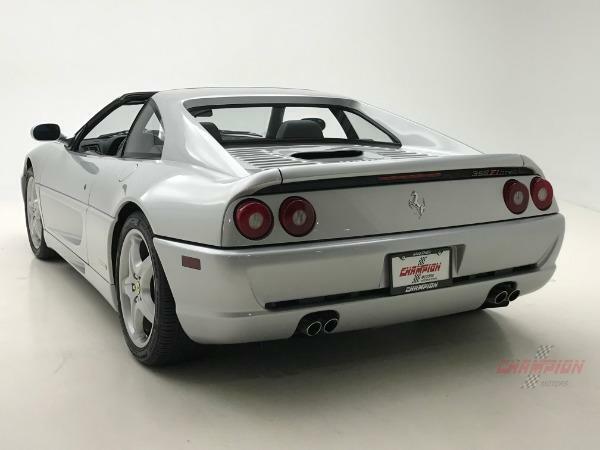 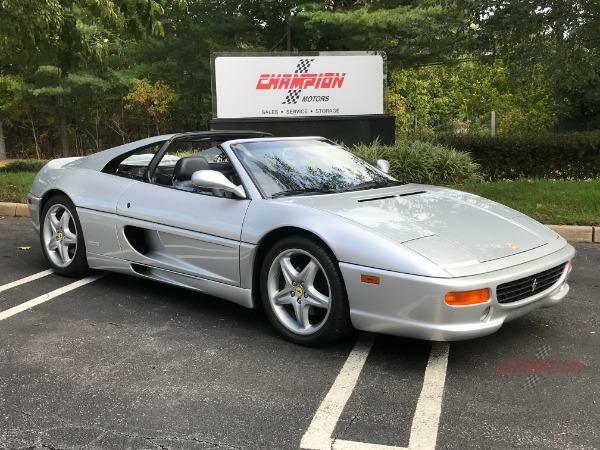 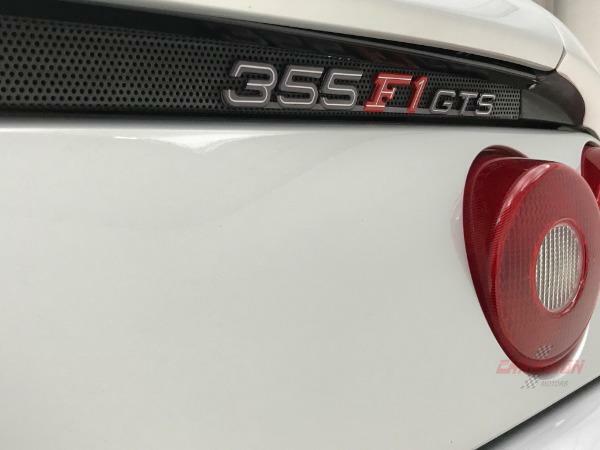 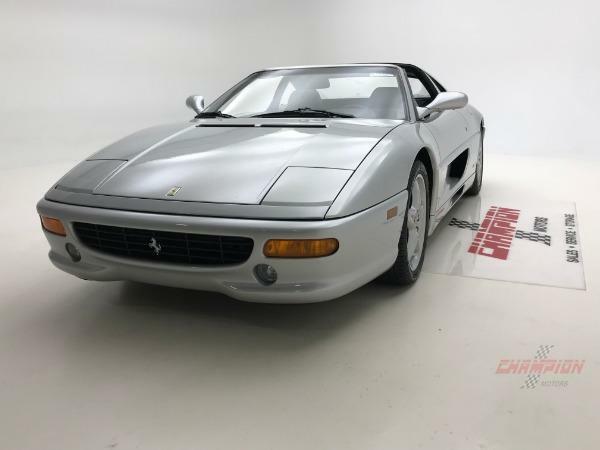 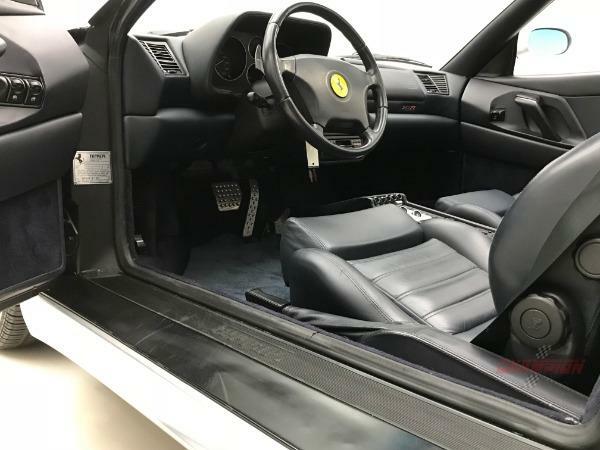 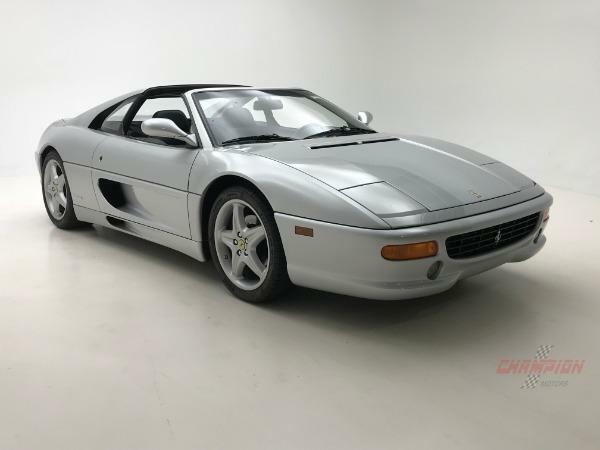 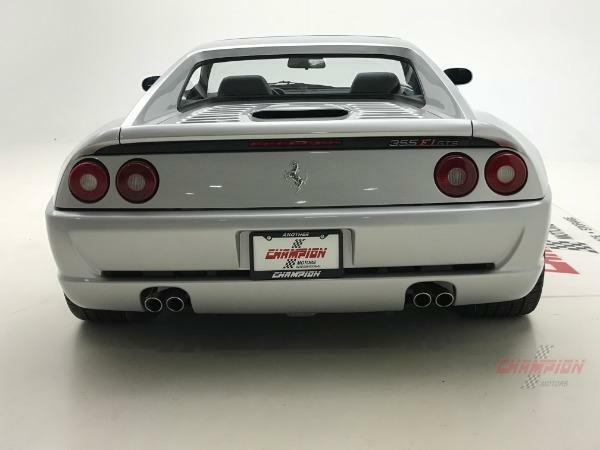 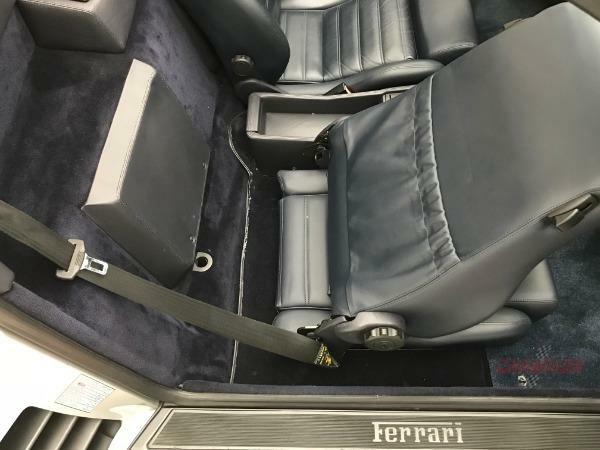 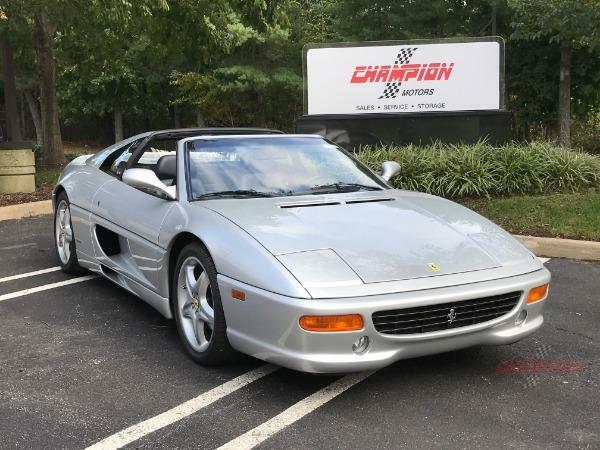 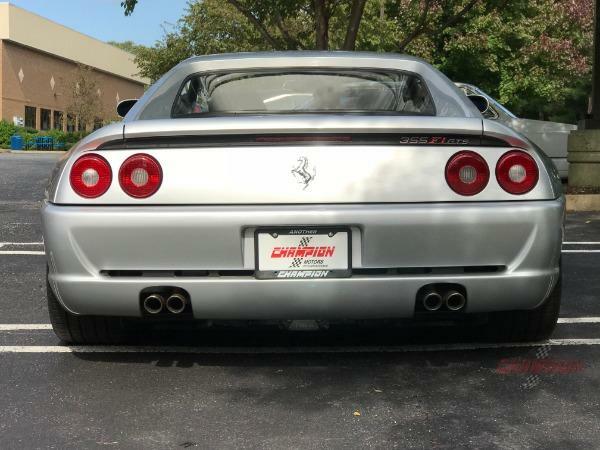 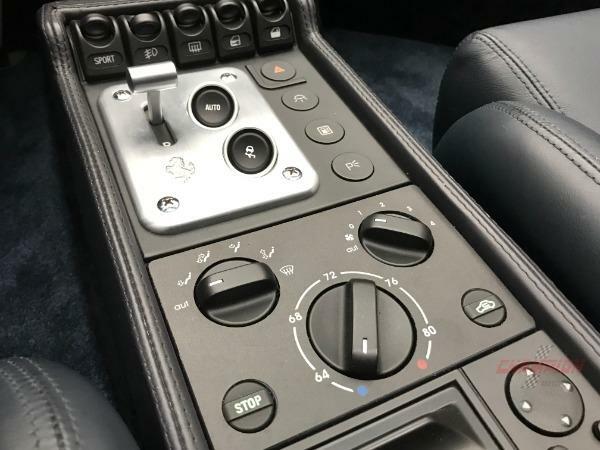 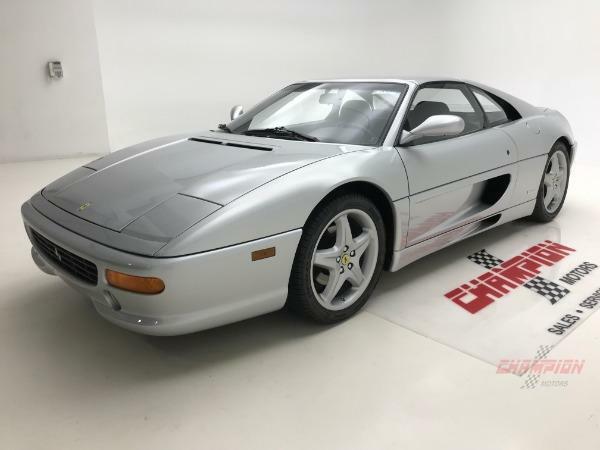 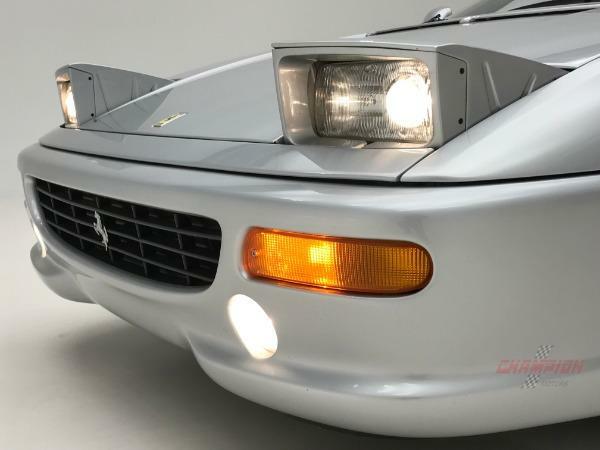 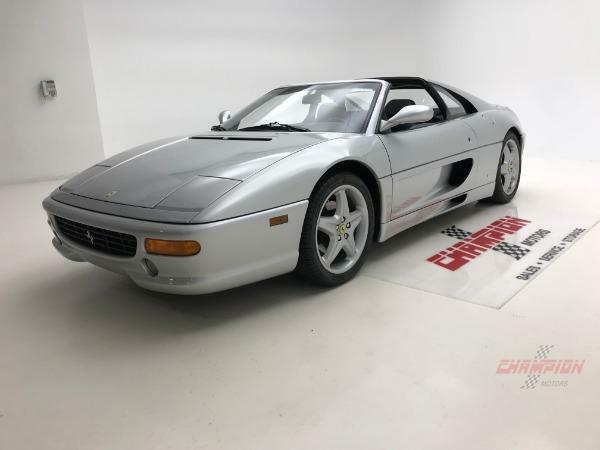 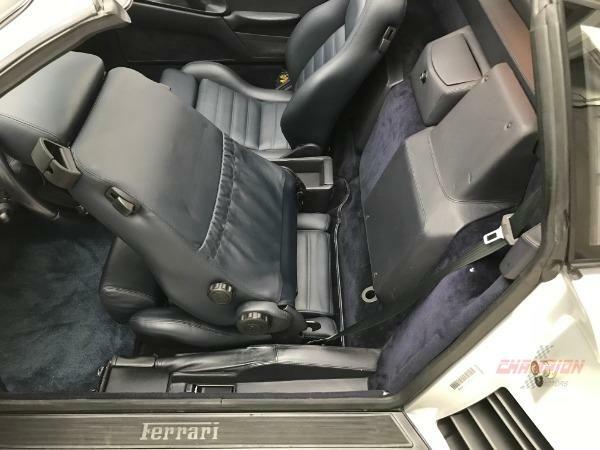 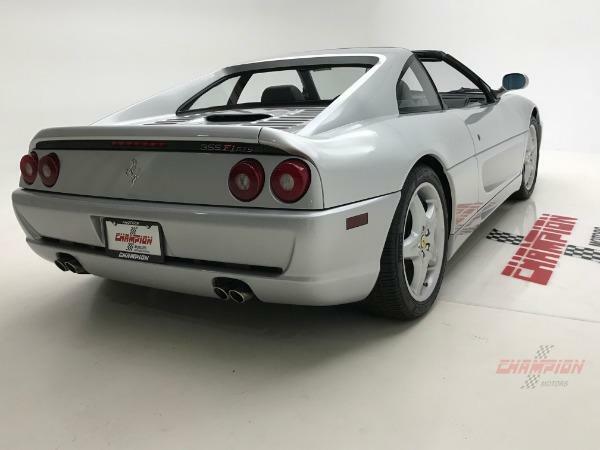 Champion Motors International presents a fantastic 1999 Ferrari 355 F1 GTS finished in Argento Nurburgring (light silver metallic) with a Blue Scuro interior and a painted GTS top. 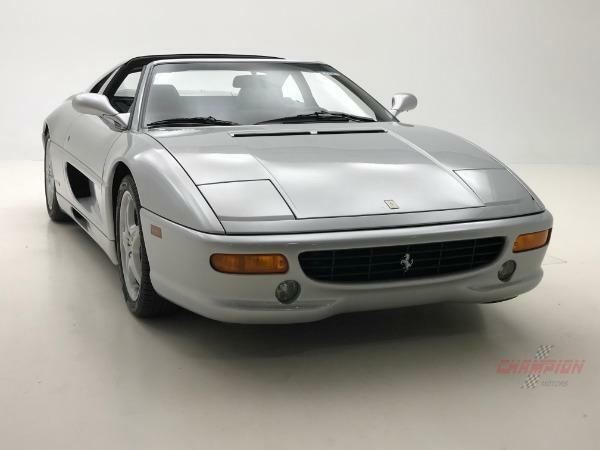 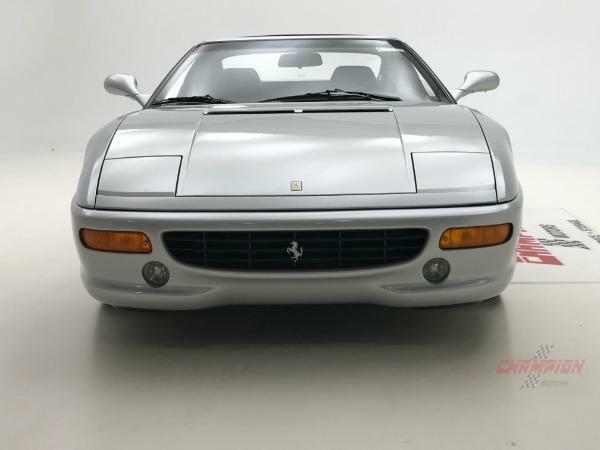 Showing only 19,939 miles, this 355 is in superb condition throughout and is very well maintained with a clean Carfax Report. 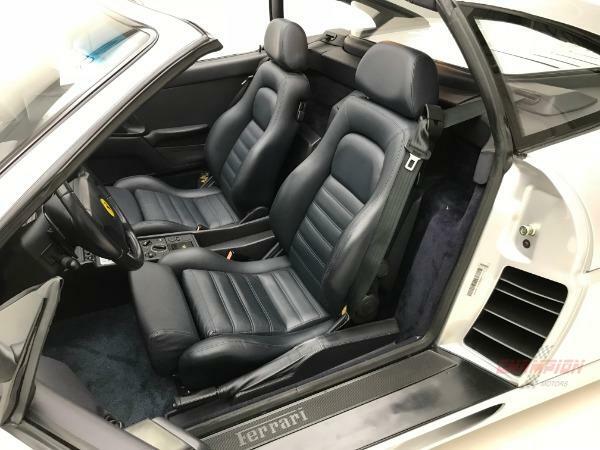 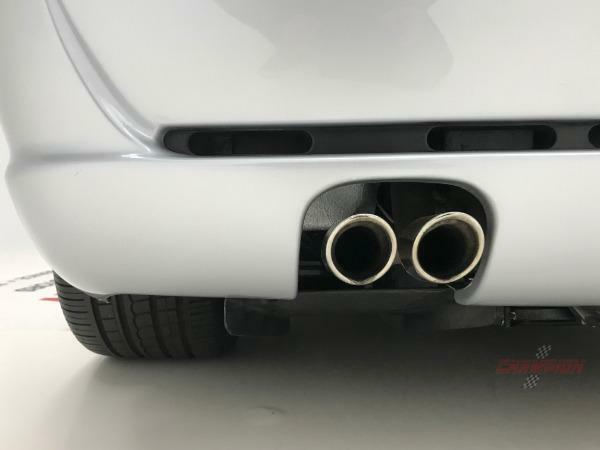 The next owner will be pleased to know that there is nothing to do except drive and enjoy this car. 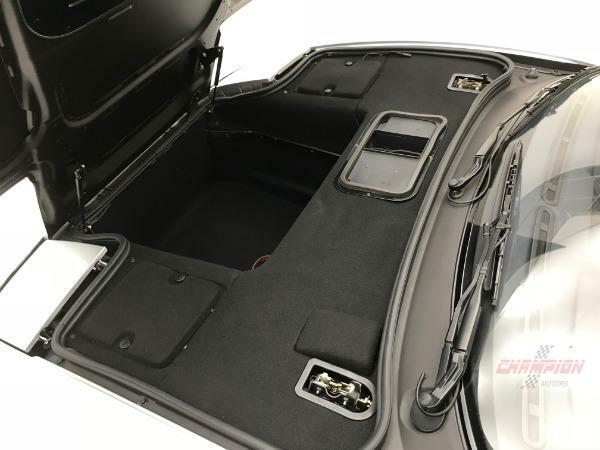 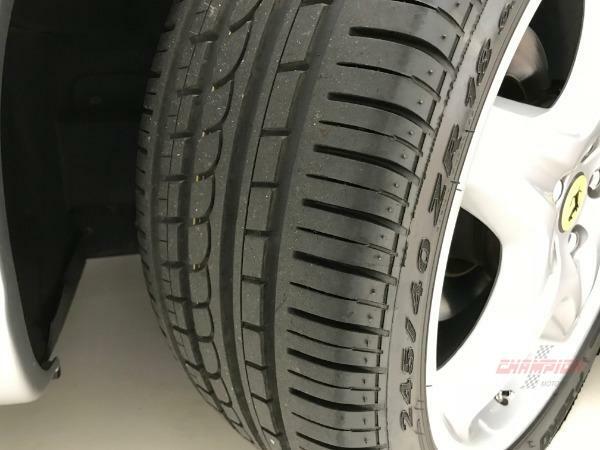 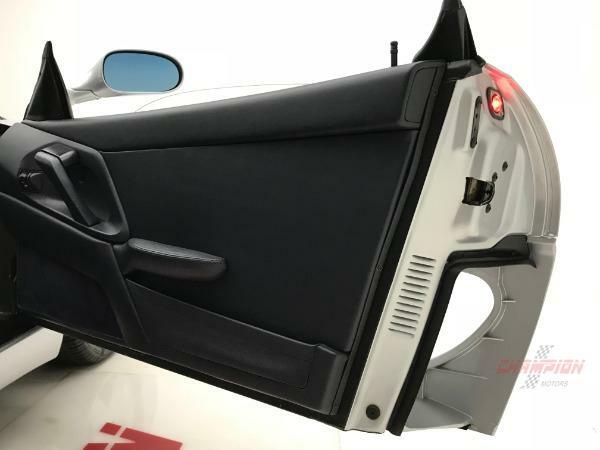 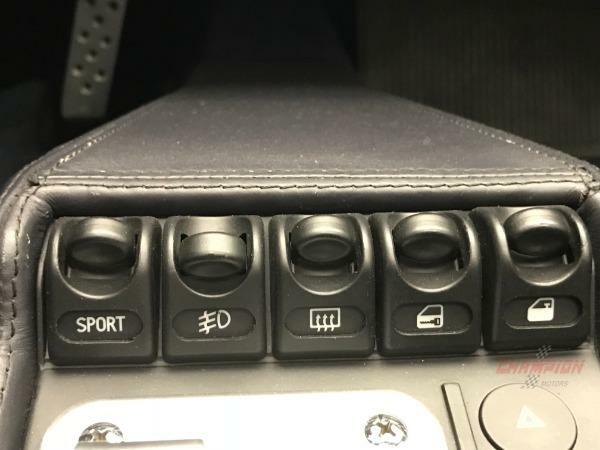 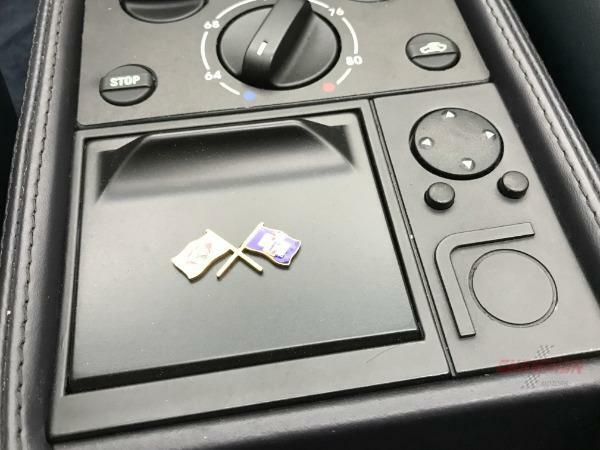 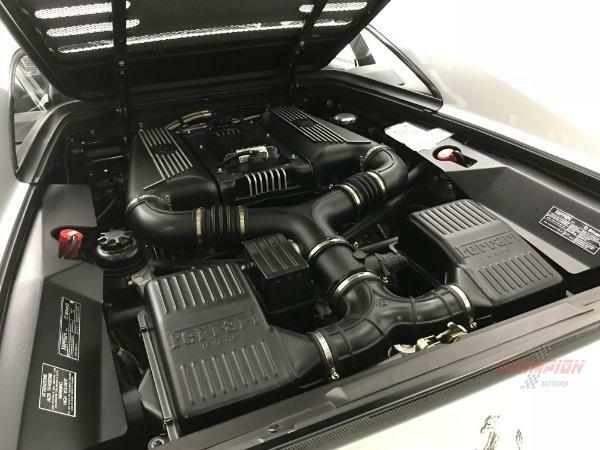 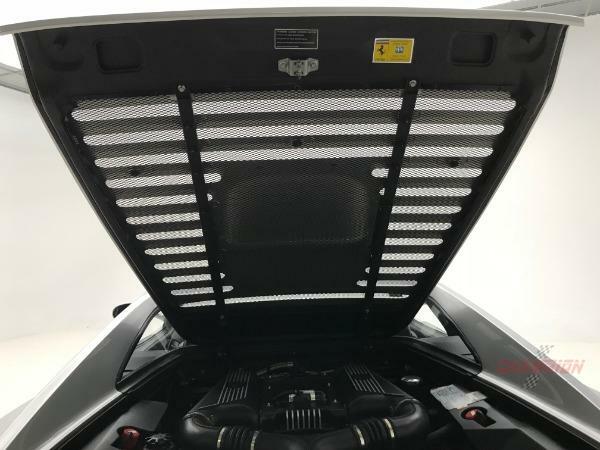 A thorough major service was performed in May of 2018. 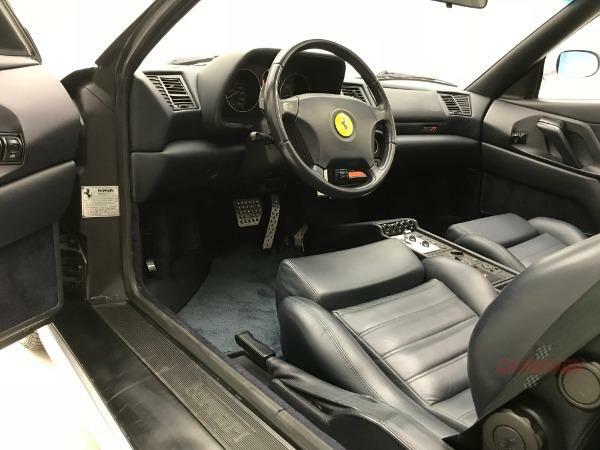 At this time, a coolant service, transmission service, Brake flush, AC service and a leak down and compression tests were performed. 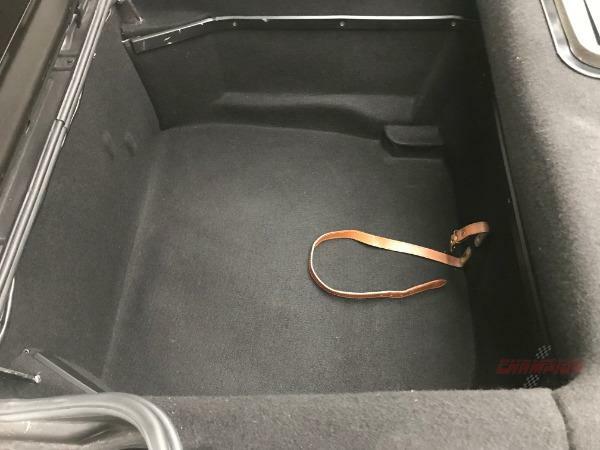 In addition, clutch wear was at 11.12% at this time. 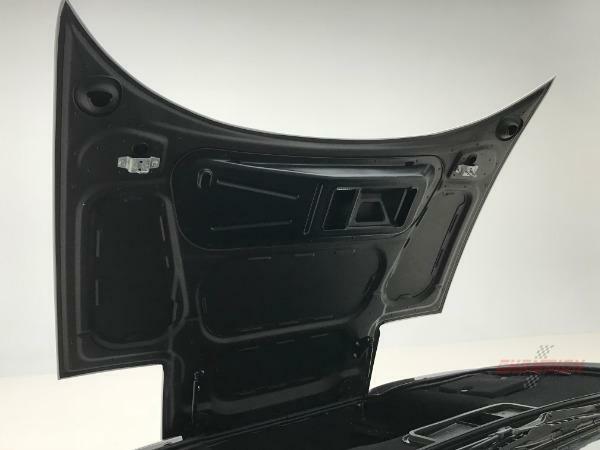 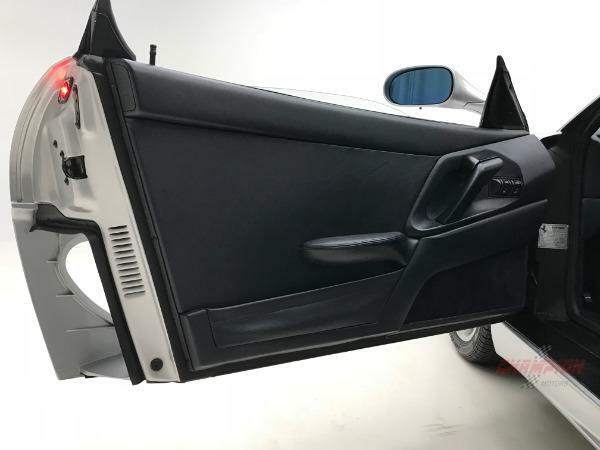 All sticky interior trim pieces have been refinished as well. 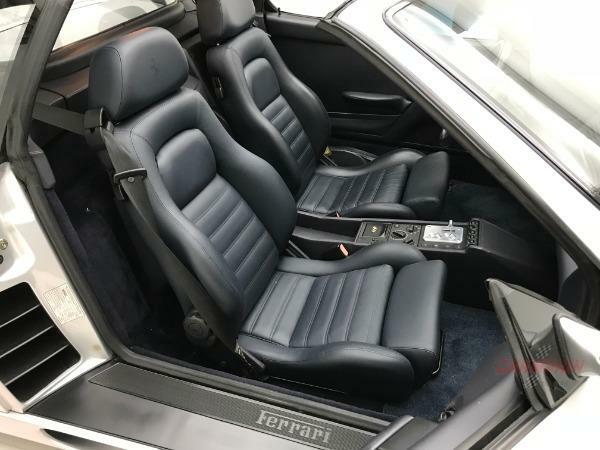 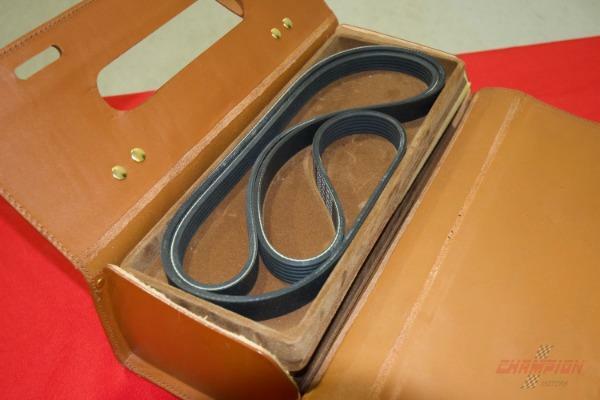 The leather is in excellent condition. 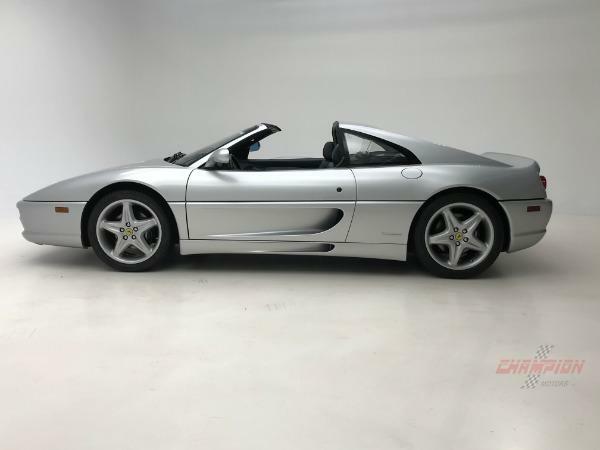 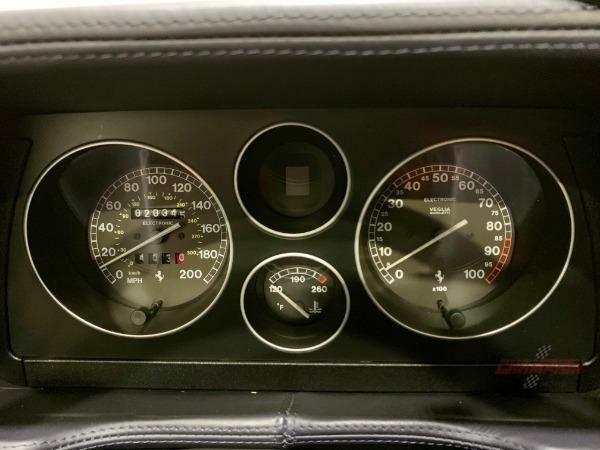 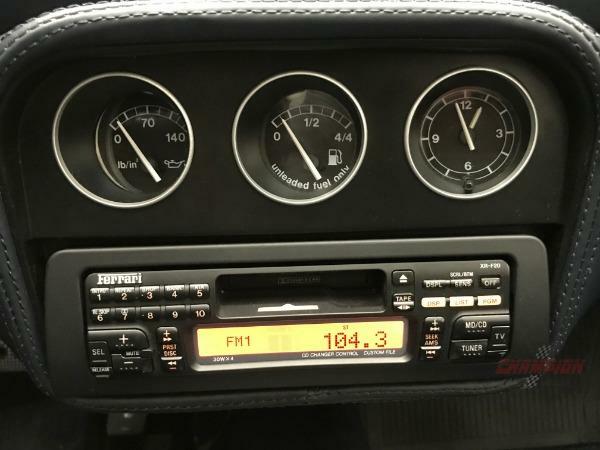 Overall this Ferrari 355 GTS can be described as excellent and everything works properly with no issues. 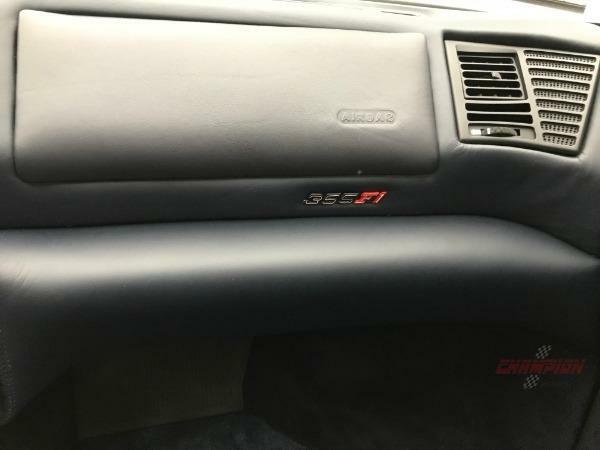 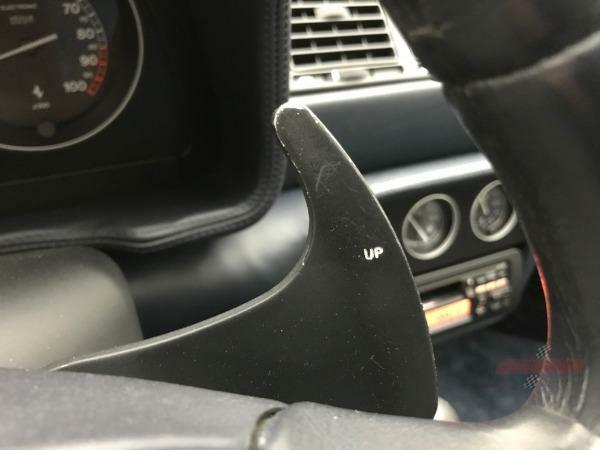 This particular car has had 3 owners in its life. 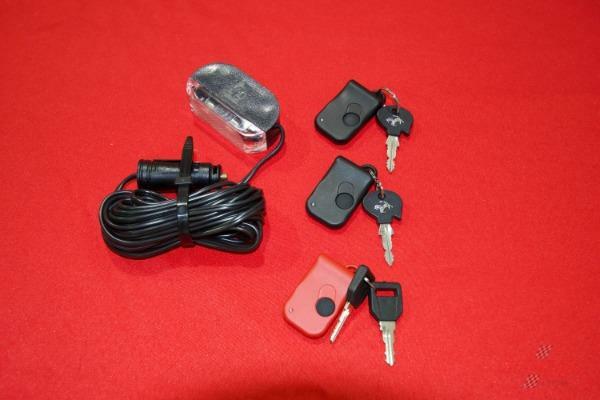 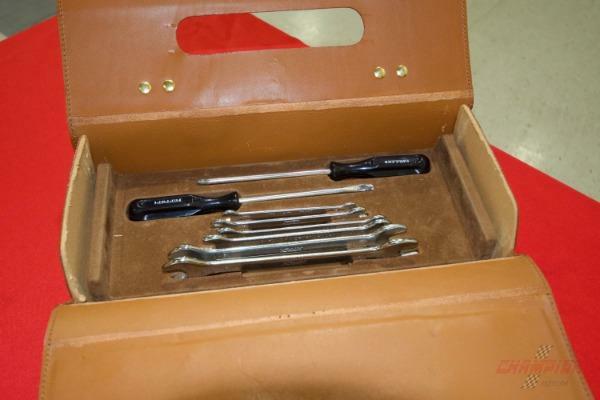 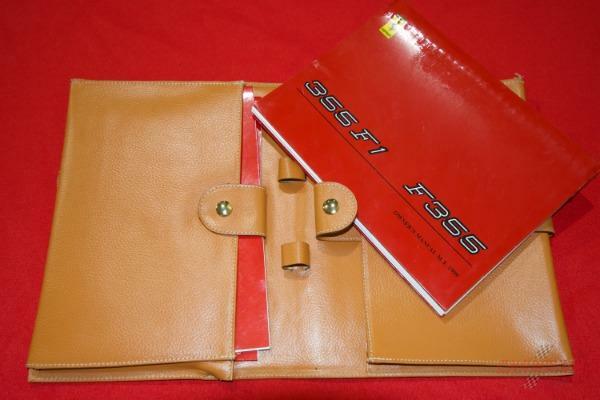 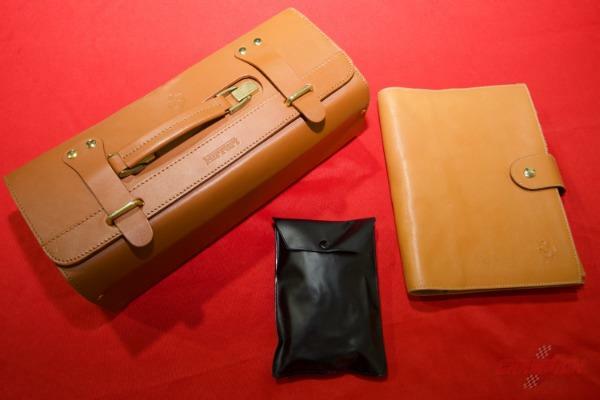 It comes with 3 keys, original books, original tool kit, recent service records and more. 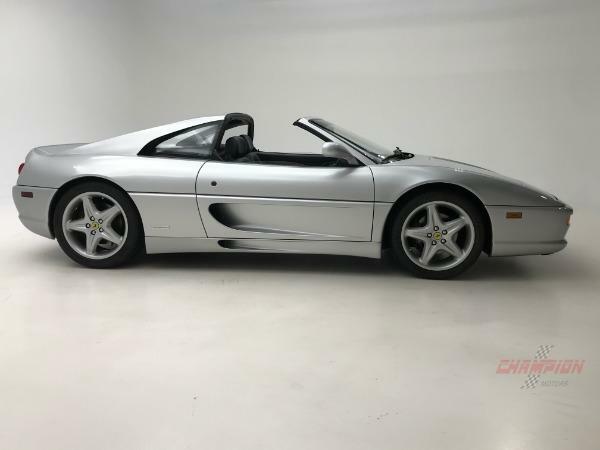 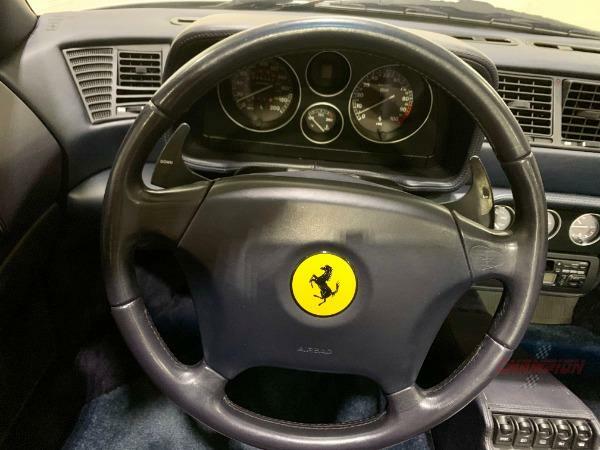 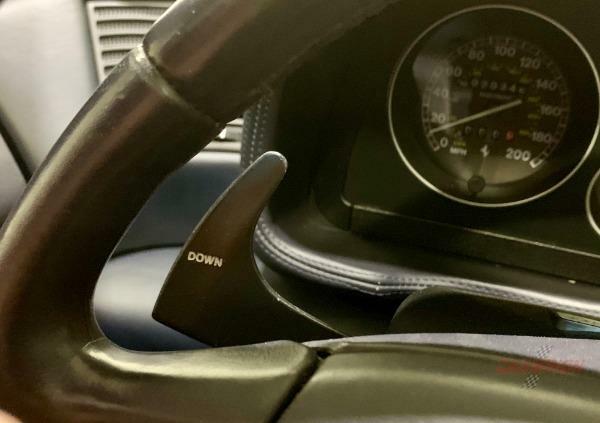 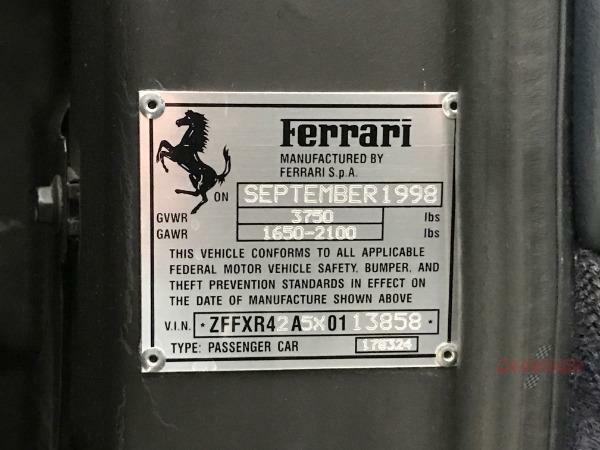 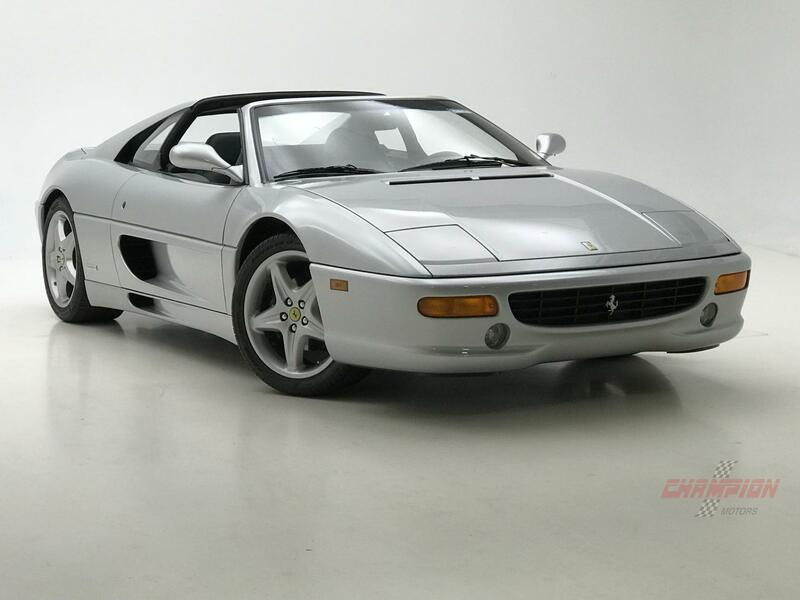 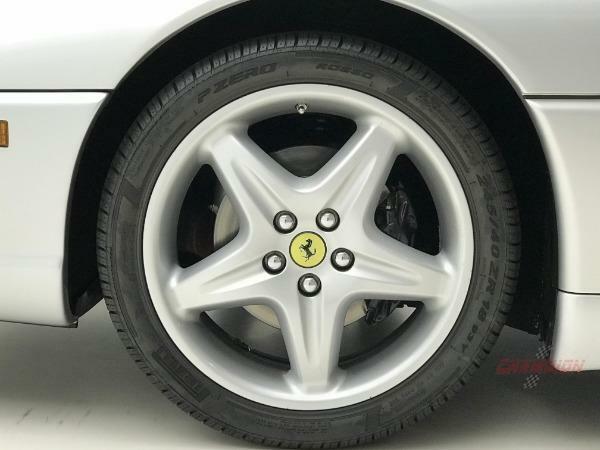 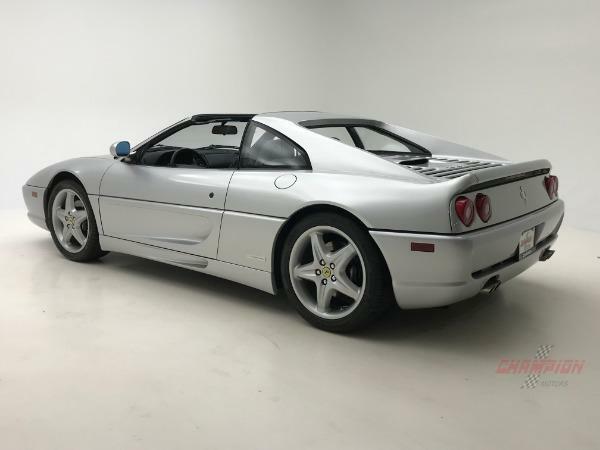 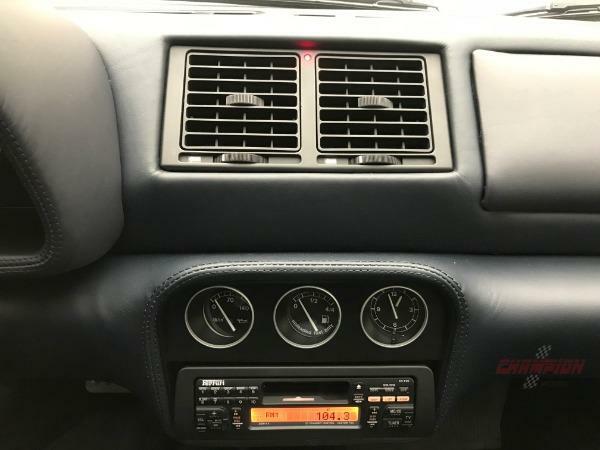 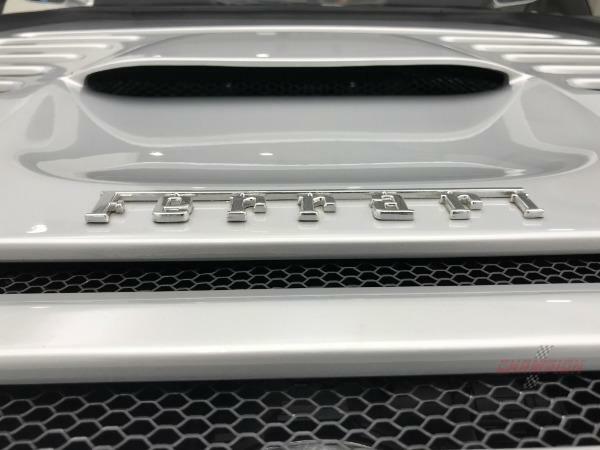 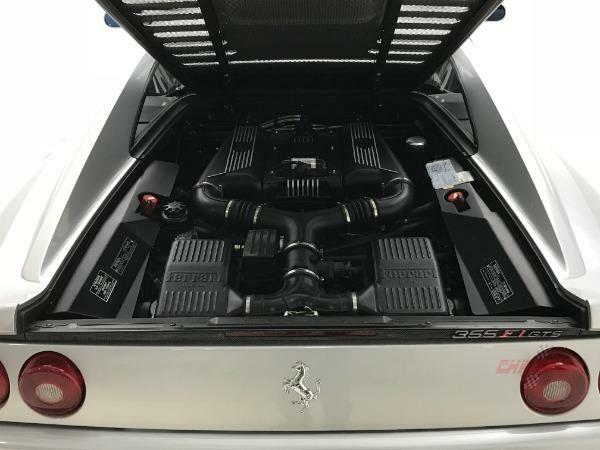 The F355 has iconic lines and would make a great addition for the Ferrari enthusiast.